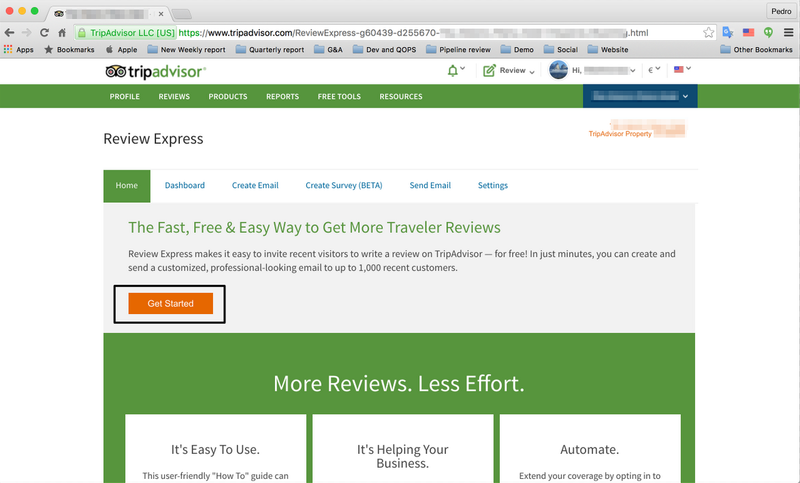 How can I activate Tripadvisor Review Express? 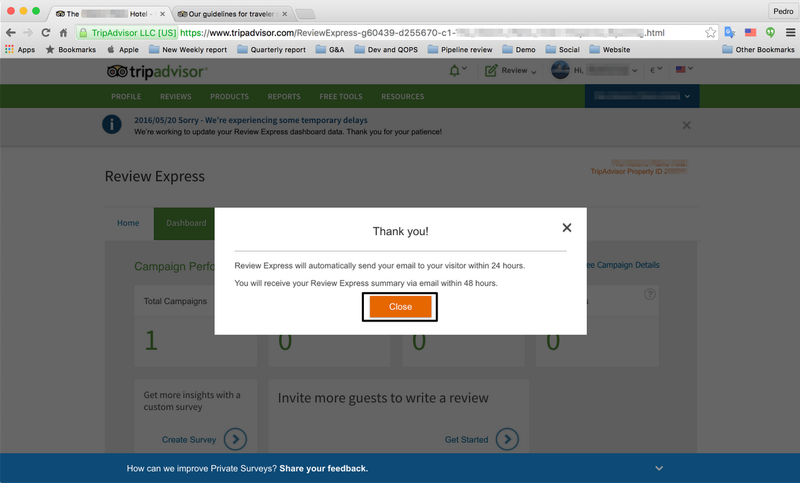 HOME > SOCIAL MEDIA AREA > How can I activate Tripadvisor Review Express? 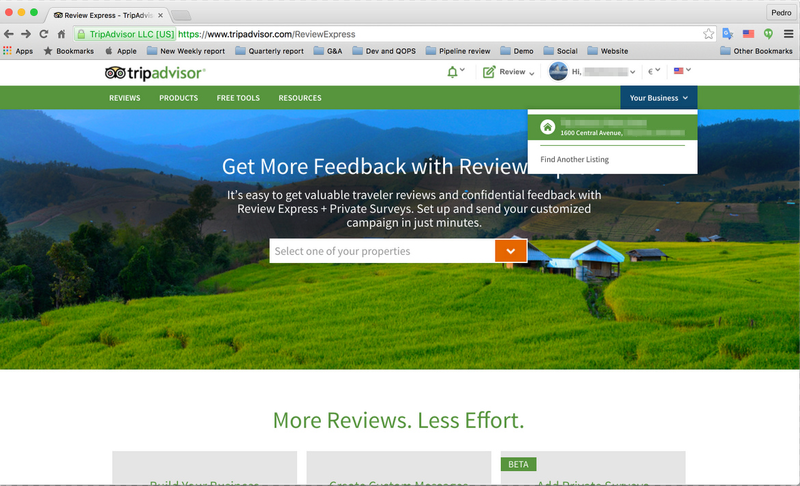 TripAdvisor now offers a free service called Review Express that lets hotel and B&B owners who have their business listed on the site send review request emails. 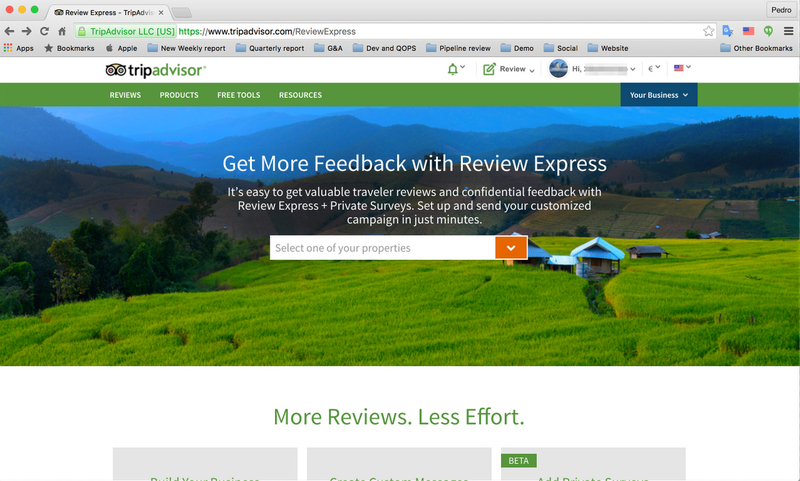 The goal of the service is to increase the number and quality of ratings and reviews that hoteliers receive. 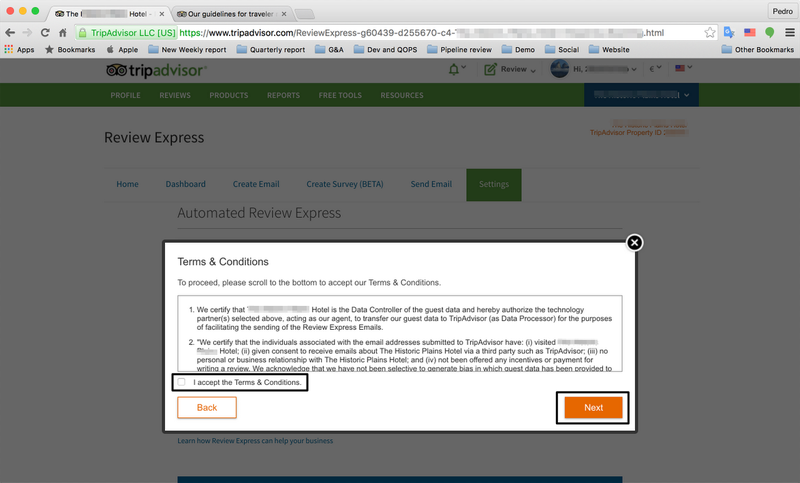 NOTE: In order to proceed you'll need to have an account on Tripadvisor Review and tooked ownership of your property. 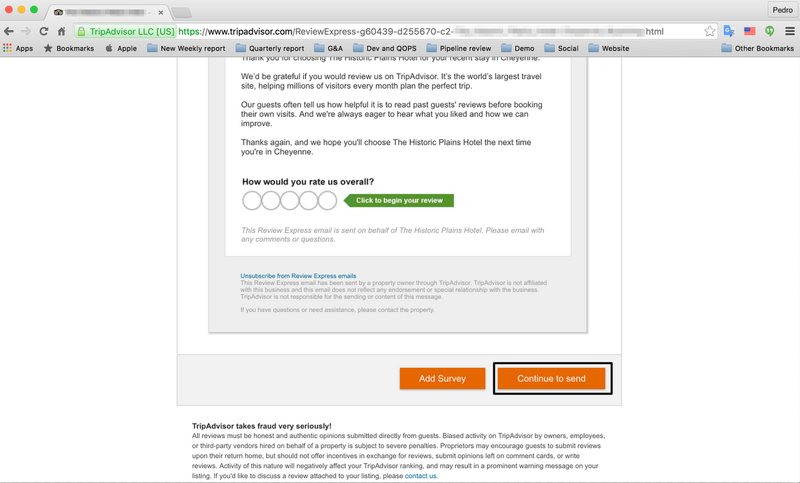 STEP 1: Go to the Tripadvisor Review page and login with your account. STEP 2: Choose your property. 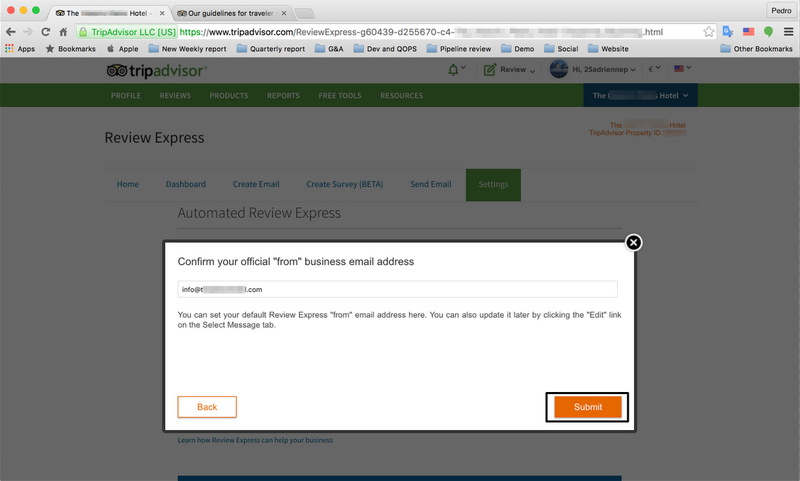 STEP 3: Press "Get Started"
STEP 4: Choose Create Email and the Language Option. The template should be according the language selected. 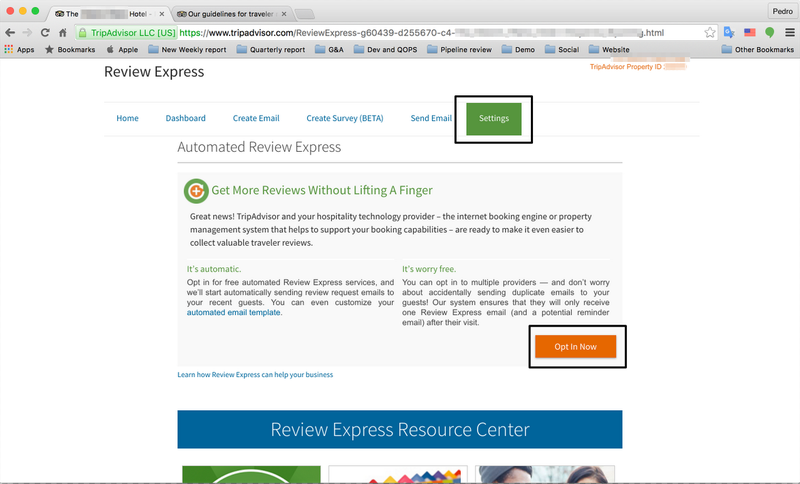 STEP 5: A sample of the review form will be showned. 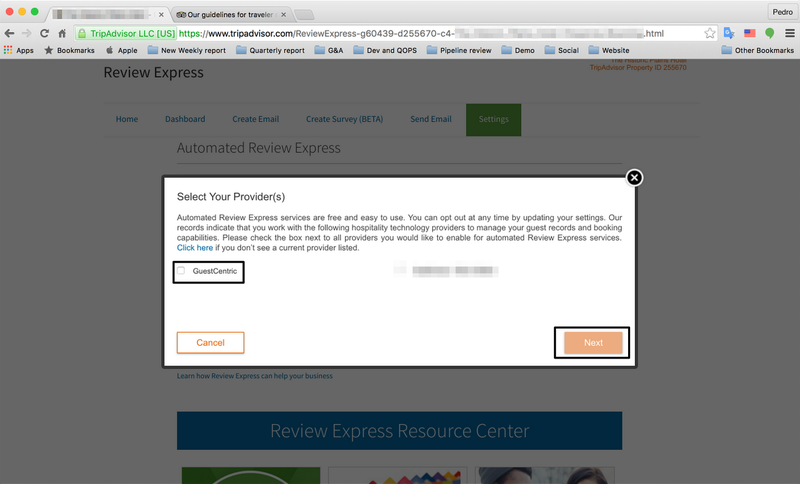 Click on Continue to Send. 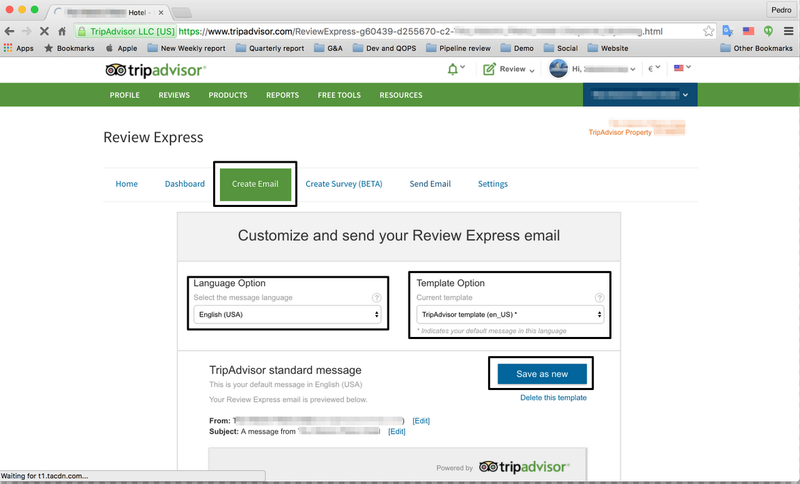 STEP 6: Select the email or emails you wish to be showned as the sender then choose the first check box if you want TripAdvisor to send an email to guests that did not have submited a review. 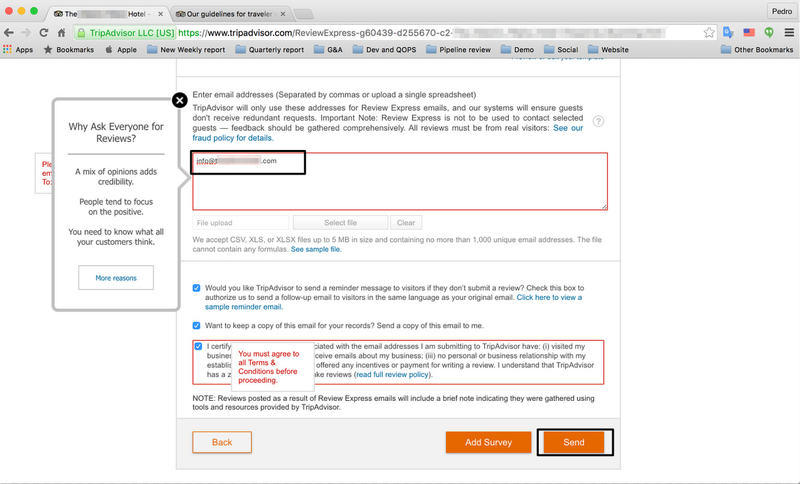 Choose the second check box if you want to have a copy of the email. 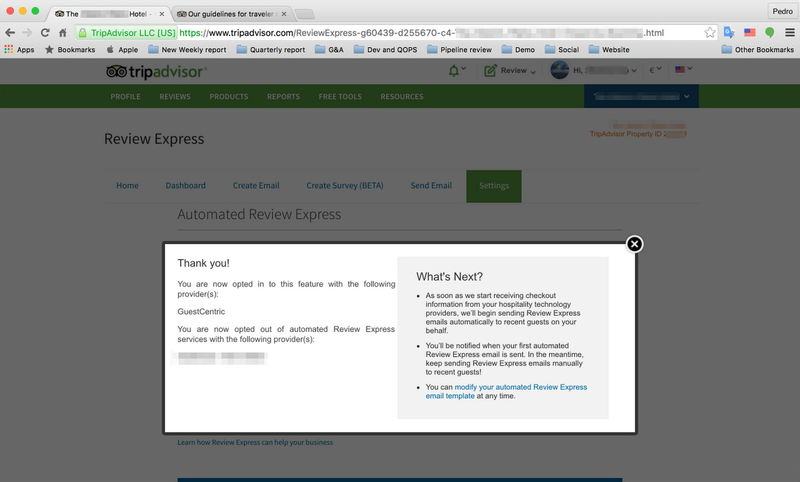 The last check box is mandatory. You must select it in order to continue. Press Send to proceed.